I was at the doctor's office for a routine thyroid check when I mentioned to him that my left finger had begun to have a tremor. It was intermittent, and was not twitching at that moment. "Jean," he began quietly, "a tremor on one side is not good. If you had tremors in both hands, I wouldn't be concerned." He examined my hand carefully. It was swollen, and he told me he thought I had rheumatoid arthritis. To be sure, he set up appointments for me with a rheumatologist, an endocrinologist, and a neurologist. I went out to my car and sobbed. Parkinson's disease. My finger had a tremor and I didn't swing my arm when I walked. To rule out a brain tumor, I had an MRI. When that came back clear, the diagnosis was final: Parkinson's disease. I went out to my car, began to sob, and phoned my husband to tell him the bad news. My husband and I were in denial for months, but finally concluded the diagnosis was correct. After that, I remember going through the subsequent stages of grieving described in the right hand column. It is important to recognize that it takes some people longer than others to make it through to acceptance, and some never do. A couple of my family members have gotten 'stuck' in one stage or another and remain there four years later. Needing to move on, I began searching the web for something that could help me. I wasn't going to just let this disease rob me of my life. There had to be something I could do to fight it! The day Kennedy was assassinated. The day the Challenger shuttle blew up. The day I received my PD diagnosis. Six years ago my life took an unexpected turn. Who was that person? What were her goals? What were her aspirations? I no longer know. I can barely remember that life. Each morning I wake up knowing I have an incurable progressive disease. It's always in the back of my mind. And yet, thanks to Parkinson's, I wake up every day with a purpose: to do what I can to help spread Parkinson's awareness. Am I a better person now? I think so. Am I glad I have Parkinson's? 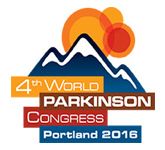 I wouldn't go that far, but I'm grateful for opportunities I have had because of Parkinson's. 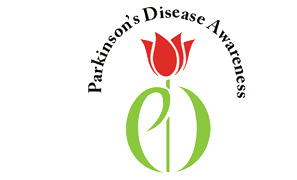 And my life is richer for having met many amazing people in the Parkinson's community - like Sheryl, and the people at PAN, and AZ-APDA, and so many other terrific people -- too many to mention. So I live with hope: Hope that awareness about Parkinson's will spread; Hope that one day there will be a treatment to beat this disease; Hope that the actions I take now will alter the end I refuse to contemplate.